Guests hereby agree to hold Tranquil Oaks Cottages, its owners, employees, and agents harmless and indemnify them against any and all claims, damages, suits, causes of action of damages and costs and legal expenses of any nature thereof arising from injury to a person or property or loss of life sustained in or about the cabin and associated surrounding lands and streets (the “Premises”) by any person or persons whatsoever. Guest agrees that Tranquil Oaks Cottages shall not be liable for any personal injuries or damage to any goods, wares, or property regardless of how such injuries or damages may be caused. Guest assumes the risk of injury or other losses relating to any recreational activities and will hold owner and its agents harmless with respect thereto. This Agreement shall be construed, interpreted and the rights of the parties determined in accordance with and governed by the laws of the State of Texas, without regard to conflicts of laws principles. It is expressly agreed and stipulated that this Agreement is deemed to have been made and to be performable in Aransas County, Texas. Any action or proceeding seeking to enforce any provision of, or based on any right arising out of, this Agreement, and/or related to a contract or tort claim shall be brought against any of the parties in the courts of the State of Texas, County of Aransas, and each of the parties consents to the jurisdiction of such courts (and of the appropriate appellate courts) in any such action or proceeding and waives any objection to venue laid therein. Process in any action or proceeding referred to in the preceding sentence may be served on any party anywhere in the world. If Tranquil Oaks Cottages must obtain legal advice or counsel for matters arising from payment discrepancy involving a Guest or Payment vendor such as a credit card company, Tranquil Oaks Cottages legal counsel: Simmons & Odle, P.C. [623 North Main Street, P.O. Box 273, Hereford, Texas (806) 364-6801] will seek rightful payment or collection for Tranquil Oaks Cottages on behalf of Owner. If disputes are transferred from Tranquil Oaks Cottages management to a collection team, Guest of record will become responsible for all charges proved to be their responsibility in a court of law. Weekend reservations must be canceled 48 hours in advance. Holiday reservations must be canceled 7 days in advance. Full week reservations must be canceled 7 days in advance. Weekday reservations must be canceled 48 hours in advance. Once your reservation has been completed, you will receive an email notifying you of your cancellation cut-off date. You may also email us your cancellation request at tranquiloakscottages@gmail.com. The Guest entering into the rental agreement must be present during the entire stay. Specifically, no parent, grandparent, or other people may enter into the rental agreement and allow persons under the age of 21 to occupy the property without the person signing the rental agreement to be present and supervise. By signing this lease agreement Guest acknowledges they are 21 (or older) and are bound by all City and State laws. The state of Texas holds the Guest responsible for any underage drinking. As Guest signing a rental agreement is required to be present during the duration of the stay, Guest will be deemed as providing alcohol to minors and will be subject to prosecution under the laws of the state of Texas. Properties are intended for short-term residential vacation use. Rental agreements are unique to the Guest and may not be sublet or assigned to other persons. If Guest misrepresents the use of the property, Tranquil Oaks Cottages may refuse occupants order the dwelling vacated and Guest will not be entitled to any refund. Tranquil Oaks Cottages welcomes families, married couples, and responsible adults 21 years of age or older with the exception of married couples where at least one of the individuals is 18 years of age. Properties cannot accommodate group gatherings such as reunions, weddings, etc. 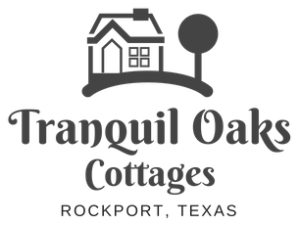 Tranquil Oaks Cottages does not rent to underage guests. Each rental is limited to the maximum number of occupants noted on the website. Group rentals are considered to be any rental where more than one property is reserved under a single Guests name or for a single group, church, business or other associated entity. Anytime multiple properties are rented for a group a minimum of 2 chaperones over the age of 21 is required in each cabin for the duration of the rental. Additional funds may also be required for security deposits at each cabin rented. Complaints about behavior and noise at any cabin included in a larger group rental or any individual guest within the group may result in eviction of entire group from all properties without refund. Guest responsible for group rentals will be liable for any damages or repairs resulting from guest behavior and negligence. A limited number of “pet-friendly” accommodations requiring additional fees are available. Our pet policy is strictly enforced and any violation will result in immediate eviction, the forfeiture of all monies collected per the reservation cost, as well as a minimum penalty of $300 for additional cleaning. There is a $30 per pet fee for each reservation. No more than 2 dogs are permitted in the cabin during a reservation. Guests agree to be in full control of their pet at all times & take full responsibility for their pets well being. Guests must bring a leash, pet crate, & bedding for their pet. For the pet’s safety never leave pets to wander outside unattended. Pets must be completely housebroken, well behaved, & pest free. Pets are not permitted on any of the beds or cabin furniture. Guests agree that failure to comply with clean-ups either inside or outside the cabin will result in a minimum additional cleaning charge of $150.00. If credit card on file will not cover charges guests will make arrangements with Tranquil Oaks Cottages for replacing and/or repairing the damages. These charges include the time involved by Tranquil Oaks Cottages in correcting, clean up, fumigation, replacement, repair of said damages. If any of these Pet Policy items are not met, guests are in violation of the Agreement/Contract. Payment in full is expected at the time of booking. If payment is intended in the form of cash, reservations can be made by calling 888-850-0730 and placing a card on file to secure the reservation until payment can be made at the time of arrival. Major credit cards are accepted. A City and State tax totaling 15% will be added to all reservations, this is the current tax rate at the time of publishing and is subject to change. However, taxes are excluded for reservations consisting of 30 days or more. Should the property selected by a Guest become unavailable through unforeseen circumstances beyond the reasonable control of Tranquil Oaks Cottages, the reservation may be transferred to the best available, comfortable accommodation. Check-In time is any time after 3:00 p.m. Check-Out time is 11:00 a.m. the day of departure. Guest agrees to scheduled arrival and departure times. Check-in location is determined by the completion of required guest paperwork. We make every effort to ensure your property is ready by 2:00 p.m. but we cannot guarantee it, nor can we accommodate all early check in or late check out requests. All cabins are easily accessed in standard vehicles. Due to limited parking guests may not be able to access properties with U-Hauls or motorhomes. However, all cabins have parking for boat trailers. Guest should verify property access and parking before booking. Even the best or newest equipment occasionally malfunctions and cannot be guaranteed 100% of the time. Tranquil Oaks Cottages makes every attempt to make sure the property selected is in good working order before Guests arrive. Guests are responsible for reporting any issues dealing with that cabin within 2 hours of arriving. All maintenance problems MUST be reported and documented so they can be handled in a timely and professional manner. Tranquil Oaks Cottages, an authorized contractor, or employee may enter properties at a reasonable time for the purpose of making repairs or for routine maintenance. If a technician responds to a Guest maintenance request and finds all equipment is in working order and determines the problem was due to the Guest oversight or neglect, the charge for service will be billed to the Guest credit card. MINIMUM SERVICE CALL FEE START AT $35.00. Wildlife encounters including, but not limited to deer, carpenter bees, wasps, scorpions, snakes, ticks, ants, chiggers, squirrels, mice, etc. Please pack plenty of bug repellent, refrain from using scented lotions and perfumes while here and plan to dress accordingly. Tranquil Oaks Cottages will not be liable for any damages to Guest personal property, or any accident that may occur during Guest occupancy in or on the property. Most neighborhoods have noise ordinances and quiet times are from 11 pm to 8 am. All speed limits should be followed in neighborhoods. Tranquil Oaks Cottages reserves the right to terminate rental and ask disruptive guests to vacate loud and unruly Guests with no refund. If a police call is required as a result of noise, nuisance, trash, underage drinking, parking, over occupancy without exception or any other reason the rental agreement will be void with no refund due. If any of the televisions, cable boxes, internet modems, gaming consoles are disconnected or the internet network name or password is altered, or the setup of the AV equipment is disrupted by Guest actions there will be a minimum charge of $45. Lock all doors when you leave your accommodations. Do not leave money or valuables unattended in the property; Tranquil Oaks Cottages will not be held accountable or liable for any thefts. Items left behind will be returned only upon request. Forgotten items may be shipped back to guest for the cost of shipping, plus a minimum $25 fee and all forgotten items are discarded after 30 days. Credit cardholder responsible for cabin must sign a copy of these terms and conditions in the form of a Rental Agreement and return within 24 hours of booking. All other guests of the cardholder agree to abide by terms and conditions set forth and must register by name for emergency response.